Global Machine Brokers is a high quality industrial asset management company with manufacturing engineers on staff, who understand your needs. We have contacts all over the country and can sell most machines very quickly. We have Global customers and we advertise all over the world in print, the web, trade shows and good old word of mouth. Global Machine Brokers advertises internationally in print, online, and through our numerous relationships with buyers and sellers. We are able to manage the rigging and hauling machinery as well. We do not sell equipment and leave you hanging, trying to find a rigger in the area the machine came from. If the machine is local, our own rigging service, Global Machine Movers, is available to handle any size project. If not, we know the most qualified and competitively priced riggers. We manage equipment hauling all over the continent and have competitive rates on vans and flatbeds. On brokered machines, we make an agreed upon commission of 10-15%. If you need to sell your machine quickly, and/or clear out a space, we will offer you a fair price for the equipment and conduct all the removal tasks. 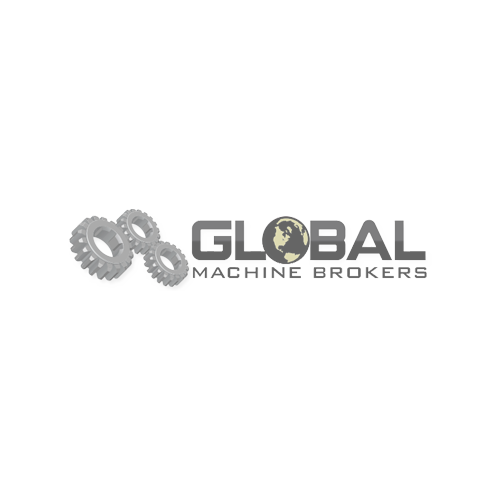 Global Machine Brokers contract to sell used or new industrial machinery from business production or from their storage warehouse. We sell all over the Globe! Our warehouse is full of new and used: Presses, Machining and Milling Centers, Injection Molding, Workholding, Grinders, Drill Presses, Coil handling, Packaging and Labeling, Material Handling, EDM, Chillers, Environmental Chambers, Finishing and Cleaning equipment, Storage, Industrial Supply, Metalworking, Machine Tooling and much more.